Up for sale is a used Evertz 7725VBI-K-HD HD/SD-SDI VBI Sidechain Bridge Keyer with Backplane. 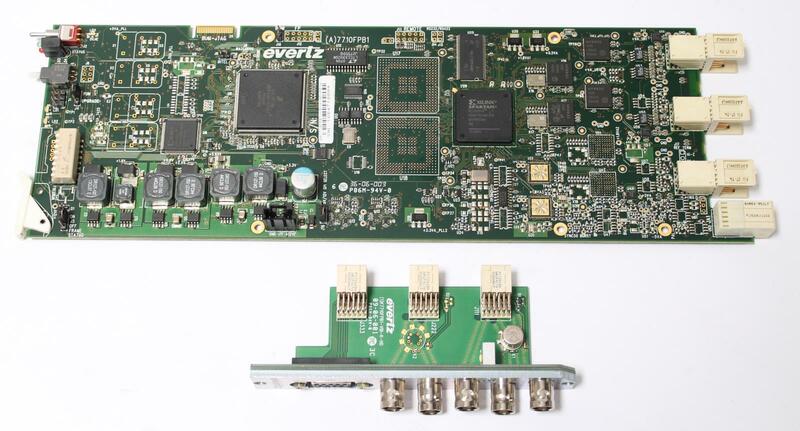 The 7725VBI-K-HD module is a multi-function VBI keyer. Every program input vertical interval video line can be programmed to pass upstream video, blank the line, insert any VBI line from the HD/SDI Key Fill input, insert a selectable VITS (vertical interval test signal) for SD, and insert a Wide Screen Signaling (WSS) and Active Format Description (AFD). 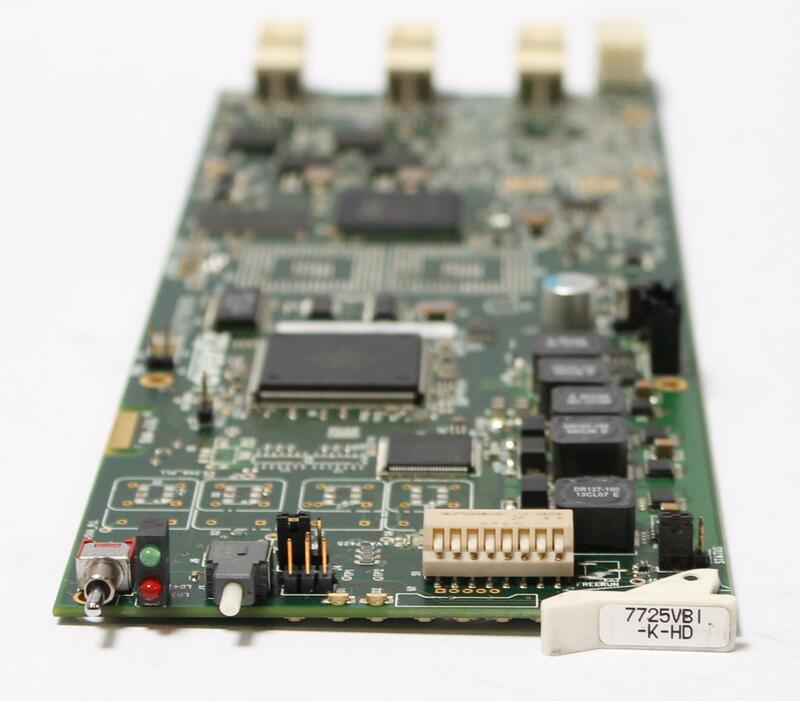 The 7725VBI-K-HD allows for up to 70 lines to be programmed. The module provides the capability to store different VBI configurations as presets and recall them from the On-Screen Display or via 8 opto-isolated GPI inputs. The 7725VBI-K-HD has two re-clocked program outputs and one program monitor output. This unit is often used in critical on-air applications and hence bypass relay protection of the program video path is provided. The 7725VBI-K-HD is setup via the On-Screen Display or VistaLINK®. VistaLINK® enables remote monitoring, control, and configuration capabilities via Simple Network Management Protocol (SNMP). This offers the flexibility to manage operations including signal monitoring and module configuration from SNMP enabled control systems (Manager or NMS) locally or remotely.